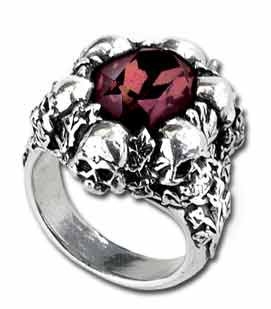 A circle of ivy grown skulls surrounds a stunning deep burgundy faceted Swarovski crystal. 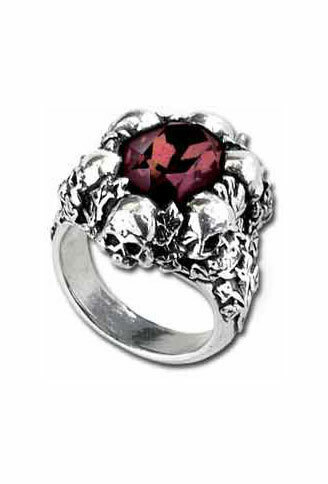 This striking ring is made of pewter and real Swarovski elements. By Gothic Alchemy.